Atlanta Police officer Dejoira Phillips has been indicted on four charges and is now suspended from the department. An Atlanta Police officer has been indicted on criminal charges in Fulton County, accused of driving recklessly, running a red light and crashing into another woman's car, causing that other driver to lose her left arm. The other driver, Lisa Williams, said that on Feb. 21, 2018, she was driving through an intersection on a green light when Atlanta Police officer Dejoira Phillips drove through the intersection, running the red light and colliding with her car. Williams suffered serious injuries, including the loss of her left arm. Williams’ attorney claims Phillips, driving westbound on Ralph David Abernathy Boulevard at Peeples Street in Atlanta's West End, did not have her patrol car’s blue lights and sirens activated. Williams’ group contends that Phillips had, for some reason, switched her light bar to a setting that flashed her blue lights only toward the back of her car--not toward the front--so Williams didn’t see her coming. Dash cam video from the accident has not been released. 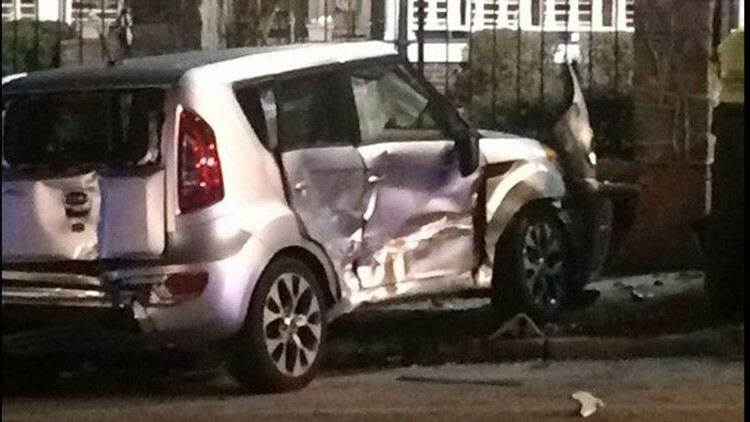 Atlanta Police at the scene refuted that, however, saying that the officer was responding to a call and had her lights and sirens running at the time of the crash. On Wednesday, the Fulton County Grand Jury indicted Phillips on four charges, including two felonies: serious injury by vehicle and violation of oath of office. The Grand Jury also indicted her on two misdemeanors: failure to obey traffic control device and reckless driving. Atlanta Police officer Dejoira Phillips has been indicted on four criminal charges related to an accident in February that forced a woman to get her arm amputated. At the time of Wednesday's court hearing, Phillips was still on full duty with Atlanta Police. On Thursday, the department said she has been suspended from duty with pay until she is able to attend a hearing before Atlanta Police Chief Erika Shields next week. "The Chief will then determine whether Officer Phillips will continue to be suspended with or without pay until the charges against her are adjudicated," said Carlos Campos, director of public affairs for Atlanta Police. “This is the kind of reckless behavior that you should not expect from someone who’s primary duty is to protect and serve,” said Williams' attorney, Harold Spence of the Davis Bozeman Law Firm. 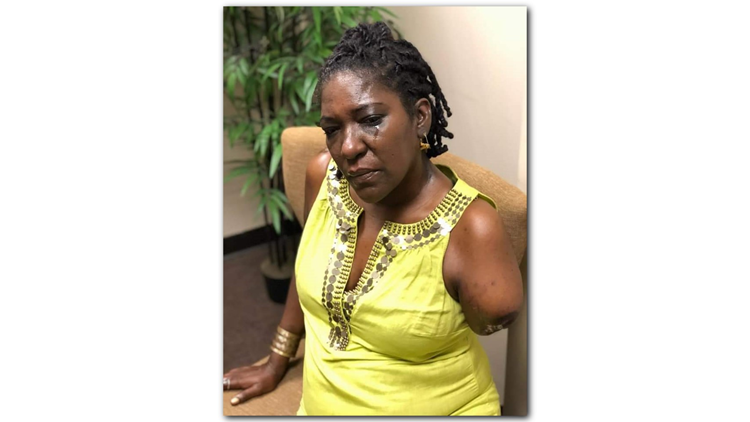 Lisa Williams got into a car accident with an Atlanta Police officer that caused her to lose her arm in Feb. 2018. With tears streaming down her face, Williams said everything about her life has changed since the accident – from her job as a safety engineer to her passion as an artist -- and she is struggling to adjust. Williams' attorneys were expecting Officer Phillips to attend the Grand Jury hearing, but said Phillips would not be present during Williams' testimony. Lisa Williams had to have her arm amputated after an Atlanta Police officer ran a red light and hit her car in Feb. 2018. Williams has already settled a civil lawsuit against the City of Atlanta in December for unspecified damages. Now that the case is making its way through the criminal courts, Williams said she has one goal: justice. "That's all I want, some level of justice," Williams said. "To see that this person has not harmed anyone else." Boazman said Wednesday that “nothing has changed” for this officer and is demanding accountability from her and from Atlanta Police. 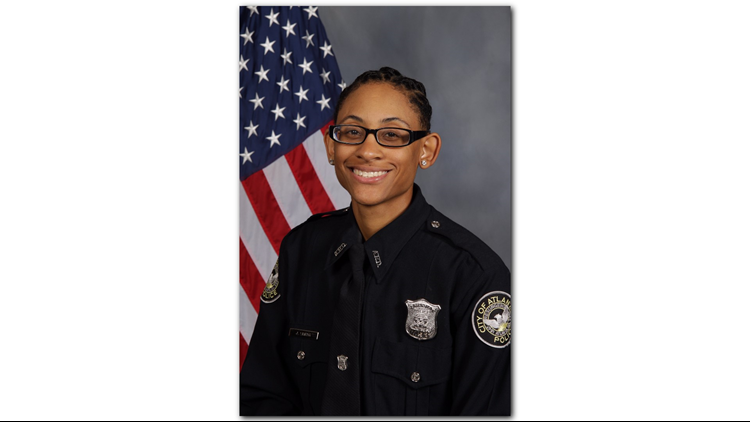 11Alive News has not yet been able to contact Officer Phillips' attorney for comment about what happened, and about the Grand Jury charges against her now.